Christmas can be a wonderful time. It can be a time when we come together to celebrate the passing of another year and to look forward to beginning a new year full of potential and possibility. It can be a time of re-connecting with our family and friends and remembering those who are no longer with us. Yet for all that, it can be a time of enormous stress and for some people tremendous loneliness. Images of happy faces and perfect families in media ads may not match the sadness and pain we may be feeling inside. For some one-parent families, Christmas can be particularly difficult. It can be a time when painful feelings are magnified. 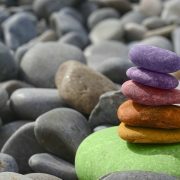 Financial strain, complicated access arrangements, and spending lots of time with relatives can further add to feelings of anxiety and distress. Becoming aware of and acknowledging the immense pressure you may be feeling during the run up to Christmas is an important step in managing. Planning ahead is critical. Above all, remembering your own values and remembering what’s most important to you and your family is probably the ultimate stress buster for the season. For some members of one-parent families Christmas may be spent alone. Children may be spending their holidays with the other parent this year, or a parent may not have access to the children etc. For some people being on their own at Christmas is enjoyable and can be a time to do things that they wouldn’t normally get done. However for others, being alone at Christmas increases feelings of depression, loneliness and isolation. If you know that you are spending Christmas alone and know that this will be difficult for you it is really important to devise a coping strategy as soon as possible. Don’t wait on the hope that someone will ask you over and don’t put off thinking about what you will do. Many of the worst arguments happen at Christmas. Bored children, being cooped up with relatives, the availability of alcohol, and a sense of claustrophobia can create an environment where tensions are high. Keep adult communication directly between adults. Refuse to use your child as a go-between. Here is part two of our two-part Christmas Guide for One-Parent Families. Be very realistic – Remember the presents are only the start. Making a realistic list of the expenditure will make it easier to see where you can economise. Be honest – Can you really afford to fund such a sum? If the answer is no, you must cut back. Be wary of credit – If you find that you need short-term credit to bridge the gap between normal income and abnormal expenditure at Christmas, decide how you will fund this. Your main options are credit cards, bank or credit union loans or authorised overdrafts. All have advantages as well as disadvantages. Whatever you decide, make sure you can afford to meet the costs of the credit, including interest, after Christmas. Avoid unauthorised lenders. Talk to them – It can be really helpful to talk to your children early on about Christmas and explain that you all have a tight budget to work with. If Santa is coming to your house explain to children that Santa has a lot of children throughout the world to visit on Christmas Eve and he has asked parents to tell children to list their top three presents but to expect only one of these, and to understand that he has a budget. It is better to explain to your child that you cannot afford very expensive presents rather than overstretching yourself and getting into debt. Get them involved in planning – Planning the Christmas with children and young people can help them better understand the pressures of Christmas. It can also be fun working together and help children gain a sense of responsibility. Self talk – Remind yourself that you are not letting your children down by not getting them exactly what presents they want. Value the love you give them every day of the year. In years to come it will be this they remember rather than how much you spent on them. Expectations – Remember for many younger children it isn’t the cost of the item that interests them but what they can do with it. Children often find the box more exciting than the gift itself! Don’t give in to pressure – Children and young people often make demands of their parents. 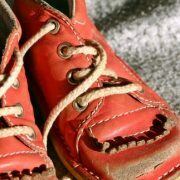 Parents may fear that if they don’t give the child the present they want, then he or she won’t love them. 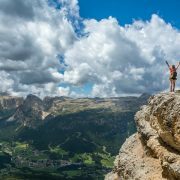 Remind yourself the value of saying “no”. Saying no can help a child understand choices and disappointments. It is far worse for the child or young person to see you upset and anxious about financial difficulties. 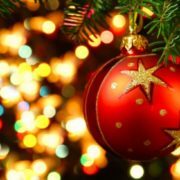 Part one of our Christmas Guide includes advice on Taking the Stress out of Christmas, Christmas Alone, and Coping with Sad or Painful Memories. Click here to read it. 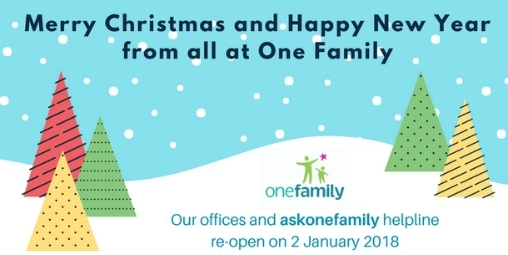 One Family offices and askonefamily helpline close for the holiday season on Thursday 21 December 2017, re-opening on Tuesday 2 January 2018. We wish a joyful and peaceful Christmas and New Year to all. Links to some external services and supports that may be of interest can be found here. (Dublin, Tuesday 10 October 2017) One Family, Ireland’s organisation for people parenting alone, sharing parenting, and separating, acknowledges the announcement of the partial Income Disregard restoration – following previous budget cuts – from €110 to €130 per week for One Parent Family Payment (OFP) and Jobseeker’s Transition Payment (JST) recipients, the €5 weekly social welfare payment increase, and the household income threshold for FIS increase by €10 for families of up to three children, along with new housing initiatives. However, it is not enough to lift lone parents and their children out of the consistent poverty and deprivation that resulted from previous reform of the One-Parent Family Payment, and to support them in overcoming systemic barriers in accessing education and employment. Yesterday the Department of Employment & Social Affairs released the Indecon Independent Review of the Amendments to the One-parent Family Payment since January 2012 which should have formed the basis of changes in Budget 2018 for social-welfare dependent one-parent families. Increases should have been targeted and strategic to reach the poorest children and families across the board, following the evidence and Government commitments to lift 100,000 children out of poverty. Karen Kiernan, One Family CEO, states: “The Indecon Report is absolutely shocking – more parents are off welfare and working saving the state €45m net but more are living in poverty. There is so much work to be done to ensure that the appropriate services are in place to support people parenting alone into sustainable employment but we did not see that today. Of course, the increase to the Income Disregard is to be welcomed and will help some families. And of course, it is heartening that Government listened to us and the families we work with on this issue. But we must also ask: why have Ministers not taken action on our other recommendations? Following years of ill-advised cuts and reform that targeted lone parents, this must happen now if the poverty experienced by one-parent families in receipt of social welfare payments is to be reversed. Valerie Maher, One Family Policy & Programmes Manager, comments: “Today’s Budget goes a small way towards supporting lone parents and their children, but so much more is needed. It is alarming to see in the Indecon report that even those working full-time following removal from social welfare are living at risk of poverty and in daily deprivation. The Government must also be concerned about these families and not only those on social welfare. One Family’s Pre-Budget Submission 2018 included recommendations designed to support lone parents into education and/or employment, while acknowledging their parenting responsibilities. It can be read here. One Family’s Pre-Budget Submission 2018 can be read here. Our response to the Indecon Report is here. Indecon Independent Review of the Amendments to the One-parent Family Payment since January 2012 is here. For further facts and figures, visit onefamily.ie. One Family, founded in 1972 as Cherish, celebrates 45 years of supporting one-parent families in Ireland in 2017. It is Ireland’s leading organisation for one-parent families and people sharing parenting, or separating, offering support, information and services to all members of all one-parent families, to those sharing parenting, to those experiencing an unplanned pregnancy and to professionals working with one-parent families. Children are at the centre of One Family’s work and the organisation helps all the adults in their lives, including mums, dads, grandparents, step-parents, new partners and other siblings, offering a holistic model of specialist family support services. These services include the lo-call askonefamily national helpline on 1890 662212, counselling, and provision of training courses for parents and for professionals. One Family also promotes Family Day and presents the Family Day Festival every May, an annual celebration of the diversity of families in Ireland today (www.familyday.ie). For further information, visit www.onefamily.ie. A long-awaited report, prepared by Indecon Research Economists on behalf of the Department of Employment Affairs and Social Protection, was released late this afternoon. It is regrettable this this important report has been made available on the evening before Budget 2018 is scheduled to be announced, as it warrants attention that it may not now receive. While the Exchequer saves €45m net, lone parents and their children are poorer as a result of the recent reform of the One Parent Family Payment (OFP). It is an in-depth report yet no recommendations and only short conclusions are offered. Can any report guarantee accuracy if some of the survey questions from which the data is drawn provided only positive response options? Where is the recognition of the parenting responsibilities of lone parents? One Family is shocked that childcare appears to be mentioned only twice. Where too is the recognition of the impacts of the fear, stress, and uncertainty placed on lone parents and their children as a result of this reform; and the lack of clarity in its communication and implementation? 43% of parents reported that their family wellbeing decreased due to the reform and 40% said their children’s wellbeing decreased. There is no indication that the marginal increases in employment will have any longevity given the precarious and low paid nature of these employments, and 53% of survey respondents stated that the OFP reforms resulted in being financially worse off. Only 20% noted an improvement. 63% of the respondents in full-time employment stated that they cannot afford 3+ items on the deprivation list, meaning that they are most definitely experiencing deprivation daily, and in-work poverty. There is no acknowledgment that lone parents in education and in receipt of OFP or Job Seekers Transition Payment (JST) and rent support cannot avail of the SUSI maintenance grant. One Family’s Pre-Budget Submission includes recommendations that would enable Government to achieve this. The failure of the reform of the OFP means that it is essential that Minister Doherty engage with these recommendations. Full restoration of the Income Disregard. Allow BTEA and SUSI maintenance to be payable together, targeting those most distant from the labour market. Increased CDAQCI for older children and poorer families. Target employability supports for lone parents. It is also essential that, as we have consistently called for, the Department’s Case Officers receive training to support lone parents appropriately and in recognition of their lived realities. One Family’s Pre-Budget Submission can be read here. The Indecon report can be read here. (Dublin, Monday 2 October 2017) One Family – Ireland’s organisation for people parenting alone and sharing parenting – responds to the news that a report by Indecon Economic Consultants commissioned by Government to examine the impact of austerity measures on one-parent families confirms what One Family has been saying for years; lone parents and their children who are reliant on social welfare are suffering more since Governmental reform and cuts of the One-Parent Family Payment (OFP) introduced in Budget 2012. 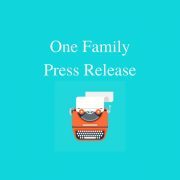 Karen Kiernan, One Family CEO, explains: “Media coverage of the forthcoming research confirms what One Family has been saying for the past five years – the cuts since Budget 2012 were counter-productive, have led to increased child poverty in one-parent families, and must be fully reversed. Government needs to face the facts and respond effectively in this year’s Budget. The new Indecon report is based on a national survey of 34,000 one-parent families which began in April and is focussed on “the financial, social, poverty, and welfare dependency impacts” caused by cuts and reforms. It was specifically tasked with providing an overview of the impact of these changes to the One-Parent Family Payment and associated social welfare cuts. SILC (2014) statistics on onefamily.ie: 59% (almost three in five) of lone parent households with one or more children experienced enforced deprivation. Individuals living in households where there was one adult and one or more children aged under 18 had the highest consistent poverty rate at 26.2%, an increase from 25% in 2014. This is compared to a consistent poverty rate of 7.7% for two-parent households, meaning that lone parents and their children are almost four times more likely to be living in consistent poverty compared to two-parent households. About One Family One Family was founded in 1972 as Cherish and celebrates its 45th year in 2017 when the organisation will also relocate to Smithfield, Dublin 7. It is Ireland’s leading organisation for one-parent families and people sharing parenting, or separating, offering support, information and services to all members of all one-parent families, to those sharing parenting, to those experiencing an unplanned pregnancy and to professionals working with one-parent families. Children are at the centre of One Family’s work and the organisation helps all the adults in their lives, including mums, dads, grandparents, step-parents, new partners and other siblings, offering a holistic model of specialist family support services. These services include the lo-call askonefamily national helpline on 1890 662212, counselling, and provision of training courses for parents and for professionals. One Family also promotes Family Day every May, an annual celebration of the diversity of families in Ireland today (www.familyday.ie). 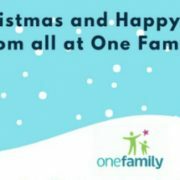 For further information, visit www.onefamily.ie. One Family is hiring. We are seeking experienced facilitators to deliver our programmes for parents. One Family has developed manualised programmes which will be delivered by facilitators in both our Parenting and Programmes services. Our programmes aim to support lone parents to meet the challenges of parenting alone and progress into sustainable training, education and employment opportunities. 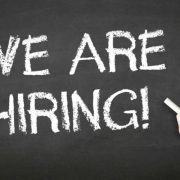 To find out more about the role and application process, please go to our Vacancies page here.